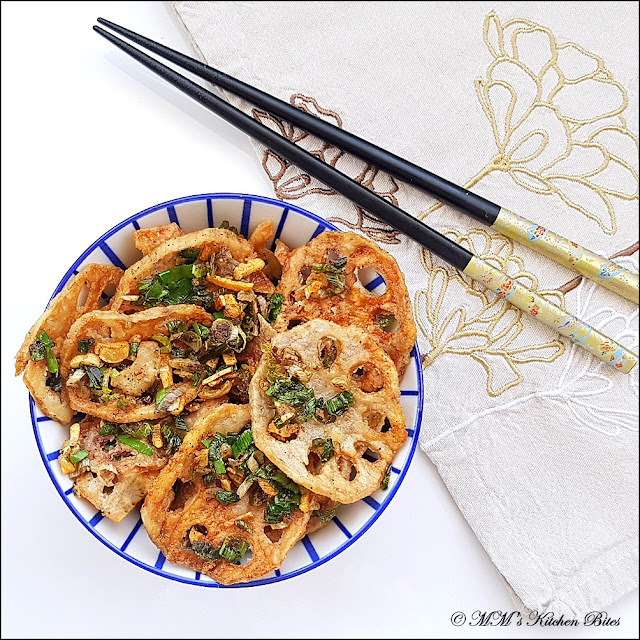 MM's Kitchen Bites: Crispy Salt and Pepper Lotus Stems (Chinese style or Indian style)...no running! 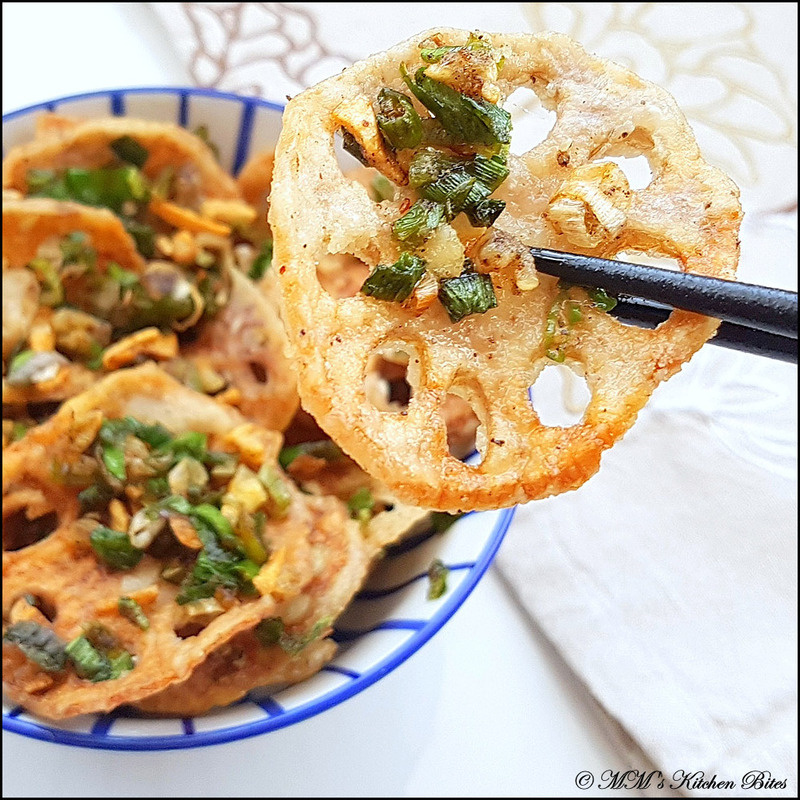 Crispy Salt and Pepper Lotus Stems (Chinese style or Indian style)...no running! Add garlic, green chillies and finely chopped white portion of the spring onions to the wok and fry for a couple of minutes till garlic starts to go crisp golden. Lower the heat and add soy sauce, vinegar, Chinese 5 spice powder and finely chopped green portion of the spring onions. Stir together for about 15 seconds. Add the fried lotus stems and toss everything together gently. Switch off the heat and done! Add mustard seeds to the wok. Once the mustard seeds start spluttering, add in the curry leaves, garlic, green chillies, and finely chopped shallots to the wok. Fry for a couple of minutes till garlic starts to go crisp golden and shallots take on some colour. Add vinegar and fried lotus stems and toss everything together gently. Lotus stems discolour after chopping very quickly. Chop as close to frying time as possible. You can also chop them and soak them in cold water and vinegar solution to avoid the discolouration. Pat dry thoroughly before dusting with cornflour.